When most people think of barn weddings they wouldn’t think of Long Island and Metropolitan New York first. But the fact of the matter is that there are many venues for barn weddings right here in our own backyard. The north fork wineries and vineyards have many different spots to host a casual barn wedding. The main barn at Martha Clara Vineyard comes immediately to mind. After all, catering weddings and other special events has become a mainstay of this establishment. I have had the experience of photographing many events at Martha Clara and a quick look through this web site will show you many wedding photos that were created there. The barn interior that is pictured here is another story altogether. This stunningly elegant barn interior was not the part of any commercial establishment. This barn was actually located right on the bride and groom’s property in a location closer to metropolitan NYC than to the outer reaches of Long Island. 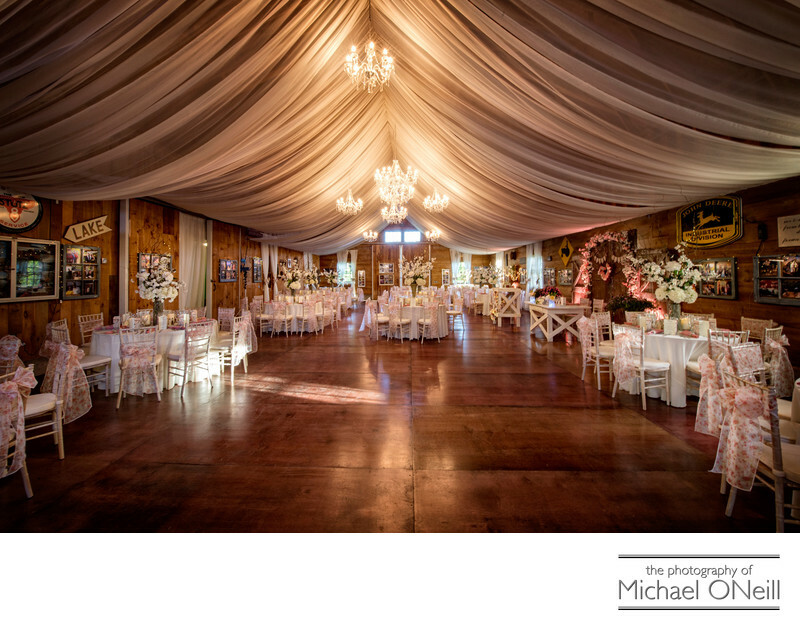 The wedding couple spent nearly a year turning this barn, which housed various vintage farm vehicles, into this extraordinary elegant room for their wedding reception. As close as six weeks out from the wedding date the barn still had no floor, walls or ceilings! Such an incredible job was done by the couple and their various contractors to turn this building into an amazing celebration space for their special day.